The Food and Drug Administration cleared the drug, Rubraca, from Clovis Oncology Inc. for women in advanced stages of the disease who have already tried at least two chemotherapy drugs. 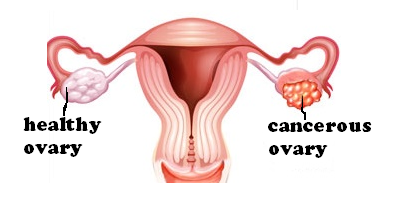 The Clovis medication targets a mutation found in 15 to 20 percent of patients with ovarian cancer. Women with the variation, known as BRCA, face much higher risks of breast cancer and ovarian cancer compared with other women. The FDA also approved a companion test that screens for the mutation. About 1 percent of women will be diagnosed with ovarian cancer in their lifetime, according to the National Cancer Institute. This year an estimated 14,240 women will die from the disease in the U.S. Currently, standard treatment includes surgery to try and remove tumors or chemotherapy. Rubraca is part of an emerging class of drugs that blocks an enzyme that helps cells — including those affected by cancer — repair themselves. Blocking this mechanism is thought to slow tumor growth. Biotech drugmaker Tesaro Inc. is expecting an FDA decision on a similar drug next year. “This approval gives Clovis the chance to build a market in this space before the approval of Tesaro’s niraparib,” stated Stifel analyst Thomas Shrader, in a note to investors. He has a “Buy” rating on Clovis. Shares of the Boulder, Colorado-based company rose $3.28, or 8.8 percent, to $40.48 in trading Monday. Shares of competitor Tesaro fell $4.19, or 3.2 percent, to $127.24. The FDA cleared the new drug under its accelerated approval pathway, reserved for medicines with promising results that must be confirmed by additional research. If the drug’s benefits do not pan out, the FDA has the option of removing it from the market. The agency said it cleared Rubraca based on studies of more than 100 women in which 54 percent of patients saw complete or partial shrinkage of their tumors. Typically that benefit lasted about nine months, the agency said in an online posting. Rubraca will carry a warning label about serious risks, including bone marrow problems and a form of blood cancer called acute myeloid leukemia. Common side effects of the drug include nausea, fatigue, vomiting and low levels of red blood cells. This entry was posted in immunotherapy, Kidney Cancer, Uncategorized and tagged BRCA, Clovis Oncology, FDA, GL-W, Greg Lance-Watkins, Greg_L-W, Niraparib, Ovarian Cancer, Rubraca, Tesaro Inc.. Bookmark the permalink.